Centricity GIS has launched Centricity Locates. Centricity Locates is a cloud based integration that seamlessly connects 811 One Call systems to Cityworks Asset Management Systems. Everything is managed for you. Attributes for the locate area is pushed from your One Call system into the GIS and Cityworks. Centricity Locates manages the GIS and Cityworks push from One Call, eliminating copy and paste ime and effort. Eliminates manual interaction between your One Call system and Cityworks. Positive Response available for Centricity Locates to notify One Call Ticket owners when the One Call ticket has been closed/completed in Cityworks. Utilizing Centricity Locates to manage your 811 National One Call tickets is simple and cost effective by eliminating human interaction, and letting Cityworks do the heavily lifting for you. 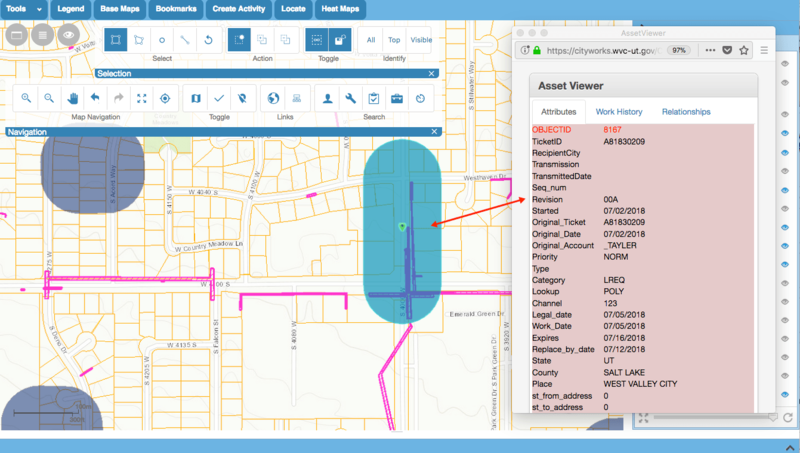 Your users can focus on doing the locating/marking and utilize Cityworks as your system of record for One Call locate requests.